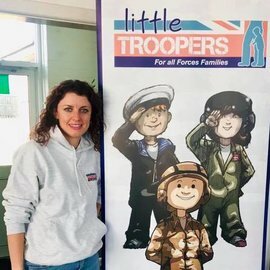 Three new story books written just for little troopers have been launched by our charity recently. 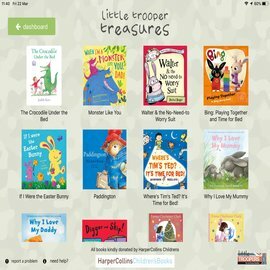 These beautifully written and illustrated story books follow military children through the unique life they lead and the situations they often find themselves in being part of a military family. 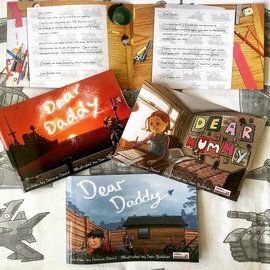 The story in each book is presented through a series of letters written by Tom, Tilly and Freddie to their serving military parents, sharing their thoughts and feelings. Tom loves helicopters, bikes and birthdays. Royal Air Force and he is away from home, again. Join Tom as he writes letters to his Daddy on the front line. away, Tilly is very, very proud. She’s also a bit sad and a bit lonely.